Queensland, which is focused on increasing the supply of social and affordable housing. The super fund made the investment through HESTA’s $30 million Social Impact Investment Trust that seeks to invest in opportunities that deliver both a financial return and a measurable social impact. Managed by Social Ventures Australia (SVA), the Trust is one of Australia’s largest impact investment funds and represents the biggest single commitment by an Australian superannuation fund to the local impact investing market. Through the Trust, HESTA and SVA aim to build a pipeline of investments and grow Australia’s impact investment market by attracting other institutional investors. HESTA CEO Debby Blakey said the investment could make a meaningful social impact — not only through providing capital to the sector — but also by developing investable models that address social and affordable housing challenges. This investment will involve the Trust partnering with Horizon Housing to finance the purchase of management rights for 995 existing affordable housing properties and the future development of up to 60 new social and affordable homes. SVA's Executive Director of Impact Investing Ian Learmonth said investment by superannuation funds like HESTA made it possible to fund more projects at the scale needed to make a meaningful impact to social and affordable housing challenges. 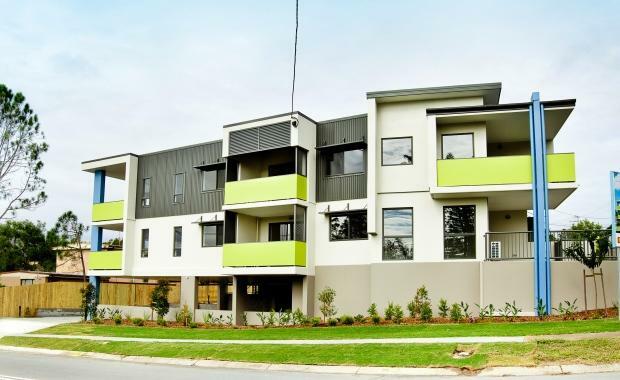 SVA and Horizon Housing have also secured a majority stake in Australian Affordable Housing Securities (AAHS), an entity responsible for managing compliance of National Rental Affordability Scheme (NRAS) incentives for over 2,500 properties. low income earners achieve home ownership. “There is a great need for social and affordable housing in Australia, with a shortfall of over 500,000 dwellings across the country,” Mr Learmonth said. financial returns, and we’re actively looking for more deals in this space. Horizon Housing’s Chief Executive Officer, Jason Cubit, said: 'We’re thrilled to be teaming up with SVA and HESTA to develop new ways of providing access to those most in need of social and affordable housing.